One of the most intense shows I’ve ever seen is back and loaded for bear. To celebrate I’m going to watch a season three marathon just to freshly plug those plot nuances in my cranium. I don’t want to miss a thing, because the show respects its viewers by layering a thick and suspenseful plot from episode to episode and season to season. It’s as dark a show as I’ve ever seen, yet is filled with heart. 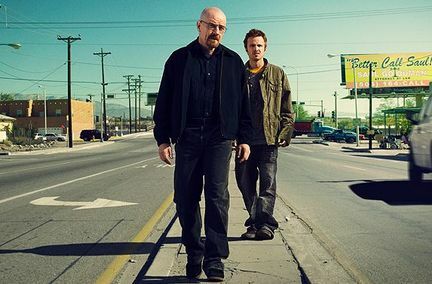 Bryan Cranston and Aaron Paul lead a tremendous cast; Cranston’s award-winning performance as the complex Walter White is not to be missed. Catch up on episode facts here. I just found out that The Chicago Code was cancelled, and I’m pissed. Sure, Jennifer Beals might have floated a bit more cleavage than a Police Superintendent would do in real life, but the cast (led by Jason Clarke) was pretty strong, including the amazing Delroy Lindo as the oily, corrupt Alderman. Pacing was good and stories weaved well, like any Shawn Ryan project. But I guess we needed more space on the network for celebretard reality shows. What else is new? 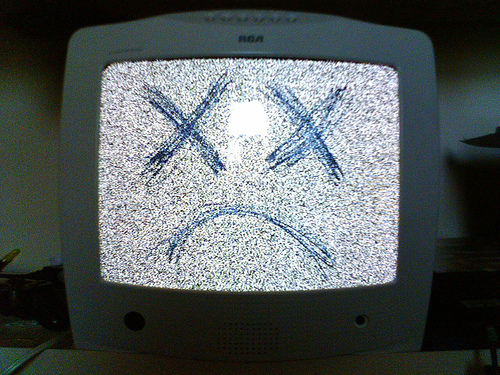 Seems like when TV takes a chance, the American public is hesitant to accept it. But really, how do they know? And wouldn’t a loyal core audience not be more valuable than a flighty larger one that will only move along to the next carbon copy? 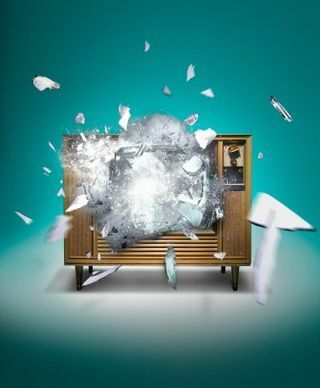 So enjoy your umpteenth Kardashian expose knowing these Ten Tanked TV Shows bit the dust. (01) – Dark Blue – Sure, s bit sullen and somber, but good action. (02) – Human Target – A mix of cartoon and drama. Jackie Earle Haley! (03) – The Event – Sure, not official yet, but they killed the momentum. (04) – Lights Out – FX was the one with the quick hook here. (05) – The Cape – Ludicrous, but that was the point. (06) – Terriers – Like I said, not Shawn Ryan’s year. Brilliant show. (07) – The Good Guys – Campy, broad comedy in a police setting. (08) – Rubicon – Sorry for trying to make you think, people. (09) – The Bridge – Jumped before it had a chance. (10) – Running Wilde – Thankfully Will Arnett is on three other shows. I mean, I get HBO – great concept – but I’m not a subscriber. I did, years ago, when I got everything, but as the cable company bill kept skyrocketing little by little things dropped off, until I was down to the skeletal, but still expensive, basic package. At the time I wasn’t missing much, since the home viewing market had transcended from VHS to DVD and the quality of the televisions got better. So by the time HBO started to really craft its signature programs like The Sopranos, I was so weaned off of pay cable that I still resisted. Only the advent of DVD recorders and the new market for TV on DVD box sets saved me, but shows like The Sopranos and The Wire were meant to be watched in six-hour gulps. I never would have survived the week in-between episodes. I certainly can afford HBO now, but for some strange reason, I just haven’t bothered. Maybe it’s because basic cable channels like FX, AMC and USA have followed their lead and stolen their thunder? But the consequence is the same. Occasionally I still miss good programming, and I’ve conditioned myself to wait for the inevitable DVD, which likely will have bonus features and other amenities that would make it more than worthwhile. 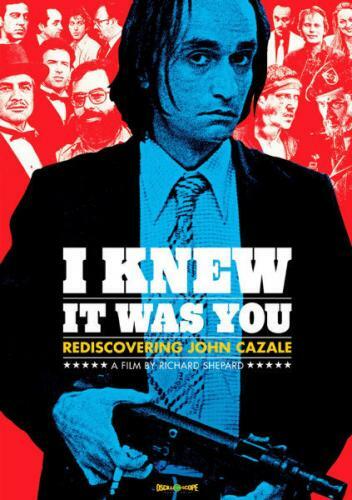 And that’s my long-winded story about how I came across I Knew It Was You, the documentary about the great 70’s actor John Cazale. 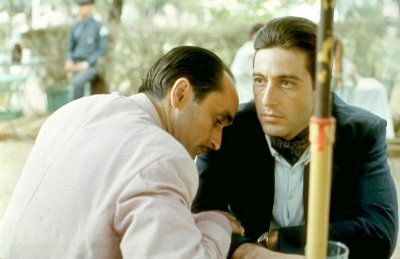 The title, of course, refers to the classic scene in The Godfather Part II between Al Pacino’s character and Cazale’s damaged brother Fredo. 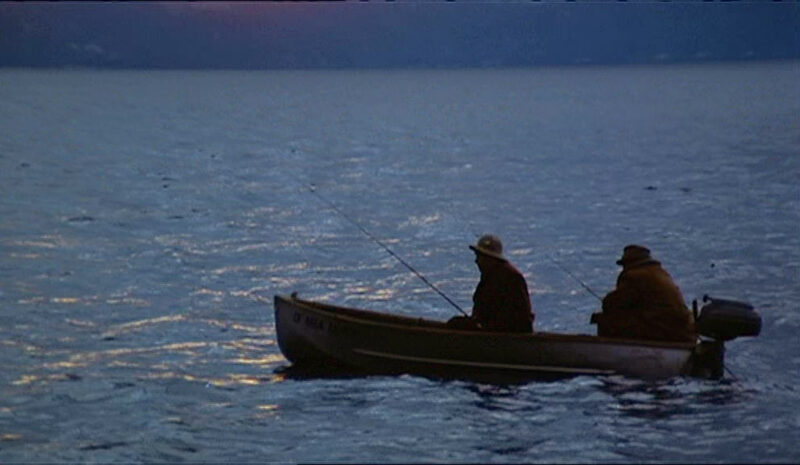 Of all the great moments in the first two films – and there were many – the last scenes between Michael and Fredo are the most haunting. Pacino played Michael tight-lipped, private, superior. Cazale was palpable, he oozed defeat. Cazale was only in five films, but every one was nominated for Best Picture; three of them took home the prize. He shared the screen with legends Robert Duvall and Marlon Brando as well as a Who’s Who of his generation in Pacino, Gene Hackman, Robert DeNiro, Meryl Streep and James Caan. He was never the lead, but The Conversation and The Deer Hunter and Dog Day Afternoon and both Godfathers would have been weaker without his presence. I was captivated by the subject and by the film, but it had two major drawbacks. I didn’t really learn much about John Cazale, as the narration and the interviews basically echoed each other – an actor’s actor, found the heart of his characters, made his fellow actors better, always played true to the moment. I already knew that, having seen all of his films numerous times. Still, it was enjoyable to watch his co-stars as well as other craftsmen like Philip Seymour Hoffman, Sam Rockwell and Steve Buscemi vouch for his impact as well as his directors Sidney Lumet and Francis Ford Coppola. 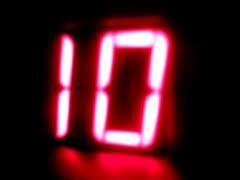 The other shortcoming – literally – was the forty minute length. Again, I was honed in on every minute, so the quality was there. But even if they couldn’t have acquired rights to longer clips of the films, certainly there were more actors who could have been involved, or reflections from major critics who analyzed his work. As stated, I didn’t see this on HBO, but since there are no commercials other than their own promos…they couldn’t even hit an hour? There are bonus features including extended interviews with Pacino and director Israel Horowitz (Cazale acted in several of his theatrical productions) as well as a commentary and two short film projects from the 60’s, so it’s not as if this DVD isn’t a good value. Despite my comments above, I’m thrilled to own it and will watch it again. But I guess when all is said and done, what I really wanted was more John Cazale…and maybe that’s the whole point of this portrait. He was the perfect actor; he had no public persona that would cloud your impression of the character he put on the screen. As good an actor as George Clooney or Morgan Freeman or Clint Eastwood are, when they first appear in a film, a little voice in your head says “there he is“. 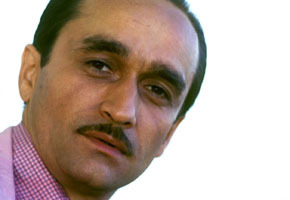 But when John Cazale entered a scene, you saw Fredo or Sal or Stan. John disappeared. Cazale died in 1978 at the age of 42. 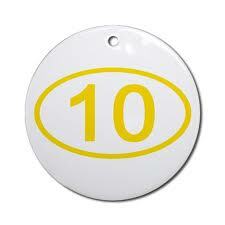 For his friends and colleagues, there is a wealth of great personal experience and memories. For me, who never met him, there are but five timeless films…and now, this tribute. Visit the official Emmy website for a list of the winners. Jimmy Fallon, you did great. That opening number will go down as one of the funniest and best kickoffs in the history of the telecast. You were funny throughout the night without being overbearing and milked that child-like innocence for all it was worth. And the musical impressions were pure gold. Although I was pulling for Terry O’Quinn to be recognized for his incredible work on Lost, I can’t argue with the award to Aaron Paul from Breaking Bad. I felt he should have won before, and it’s great to see that his peers recognized his efforts; so many other actors would have made Jesse Pinkman a caricature. 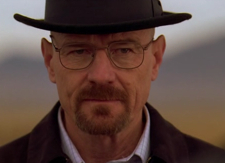 Now that Bryan Cranston’s incredibly dramatic chops aren’t catching anyone off guard, I wonder how many will look back and realize just how much he deserved the award for his work on Malcolm In The Middle? It looks like 30 Rock hit the wall across the board – the show and leads Tina Fey and Alec Baldwin were collecting statues like clockwork but all three got shut out last night. I wonder if people are taking that show for granted already? Ricky Gervais proved again that every awards show needs to have him on stage for at least five minutes. Again, the funniest man in the room. If you told me that two people would stand up in the audience and take bows, I never would have come up with Temple Grandin and Jack Kevorkian. Never. Claire Danes is starting to resemble Lauren Bacall. The Tweets sucked the life out of the moment anytime they were read. Dump the idea. 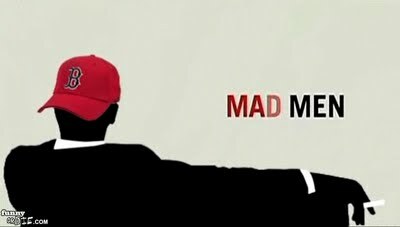 Mad Men is an unstoppable force. Ensembles do rule. Tom Selleck looked like Gregory Peck in The Boys From Brazil. Some of the “we asked them this question” film clips were beyond painful, but the one with Steve Levitan and Christopher Lloyd mocking the Old Spice man on a horse commercial was genius. January Jones looked like a Christmas ornament. And I’ll bet any hetero man in the first three rows – assuming there were any – appreciated the view. Archie Panjabi as Best Supporting Actress over Elisabeth Moss and Christina Hendricks?. Are you kidding me? But the absolute MVP of the night has to go to John Hodgman, who did the hilarious voice-overs again this year. They were hysterical in their own right and make you realize just how stodgy and lame and unimaginative most award shows are. Too bad he couldn’t have scripted everything the presenters were told to say. 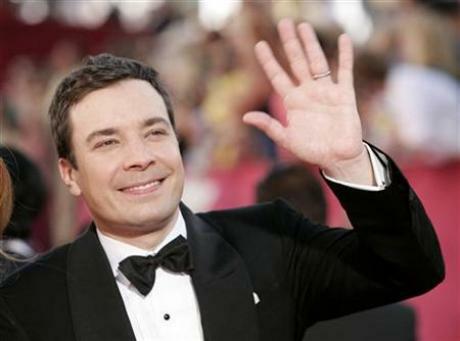 Jimmy Fallon proves he is *not* a Vulcan. I’ve really turned the corner on Jimmy Fallon. Truthfully, he used to annoy the hell out of me on SNL, but then most of that regime usually did. Jimmy always seemed sloppy and amateurish, laughing at this own jokes, but then again I hated Tina Fey always repeating the punch lines to her jokes when doing the news. Time heals. It’s refreshing to see someone who knows he has a long road to the top be willing to take some chances and be genuinely thrilled to be in the late night hunt. I got that from Conan O’Brien when he first started under duress, and it’s one of the characteristics that has made Craig Ferguson so endearing. 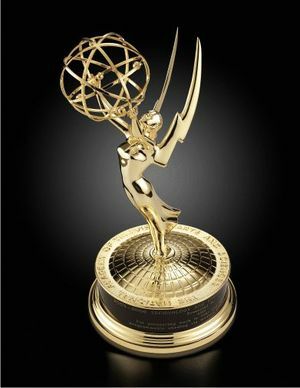 So I’m excited to see what Jimmy will bring to the big stage at the Emmy Awards tonight. I’m hoping a good dose of irreverence, since this is such a self-congratulatory event. But there has been a pretty big paradigm shift in television, from the power struggles in late night to who is behind the successful money-making comedies. The dynamic is younger and hipper, and that’s his audience and his peer base. In the meantime, some wishes for some of the major categories – my ballot for whom I’d like to win, not who I think will win. It’s going to be interactive tonight – tweets, emails, IMs, live blogs. Since I have a life, I’ll defer my reactions to it all until tomorrow. 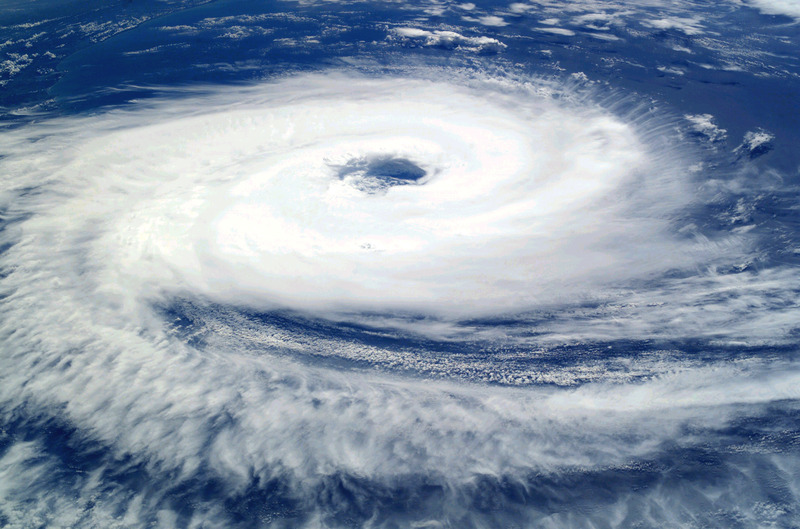 Remembering Katrina, five years ago. People *still* need help. Great expectations tonight as Mad Men returns. If you are wondering what will happen with Don Draper, Betty and the rest of the crew, click below. It’s probably the most anticipated returning show of the summer and I’m right there with you. But in a parallel universe, what about those slimy execs from Boston? You know…MA Men? Then you have to check out Funny Or Die’s hilarious parody at the link below. Kudos to Rob Delaney, Joey McIntyre (yes, that one!) and crew. Not safe for work, especially at an ad agency.